Neuropathic pain is a chronic condition that affects an estimated 6.9-10.0% of people and usually arises from damage to the nervous system. The mechanisms underlying neuropathic pain are complex and different than those causing acute pain and inflammatory pain, thus requiring a different therapeutic approach. Unfortunately, the majority of people with neuropathic pain do not experience effective pain relief with currently available medications and, as a result, many suffer from anxiety, depression, and lower quality of life. Many people with neuropathic pain experience a hypersensitivity to light touch, where even small movements of the body, a single hair on the arm, or the weight of clothing can cause severe pain. Researchers at the European Molecular Biology Laboratory (EMBL) in Rome, Italy studied a group of sensory neurons that are responsible for the development and maintenance of this sensitivity[i]. They found that these uniquely express the trkB receptor for a neuropeptide called brain-derived neurotrophic factor (BDNF), which is released after the nerve injuries that lead to neuropathic pain. They developed a light-sensitive modification of BDNF that when injected into an injured area of skin of mice, bound exclusively to these neurons. When the chemical was illuminated with near-infrared light, the nerve cells retracted from the skin’s surface and led to a decrease in touch hypersensitivity in the mice. Importantly, the modified BDNF does not affect other sensory neurons such as ones that enable us to feel cold, heat, or other types of pain like being pricked with a pin. “The nice thing about our technique is that we can specifically target the small subgroup of neurons causing neuropathic pain,” states Heppenstall. However, since these neurons also enable the feeling of very light touch, the skin is desensitized to gentle stimuli such as the movement of hair or a light breeze after treatment. Hypersensitivity was measured by assessing changes in reflexes when various stimuli were applied to the limbs of mice with neuropathic pain. A mouse with hypersensitivity will quickly withdraw their affected paw away from the stimulus and lick or shake the injured area. These behaviors were significantly reduced after infrared light treatment in several different models of neuropathic pain, including pain caused by nerve injury, diabetic neuropathy, and chemotherapy. Hypersensitivity in the animals was reduced for about two weeks, after which the nerve endings grew back and began to function again. However, this approach to neuropathic pain is not without issue. The elimination of neuropathic pain is achieved at the cost of reducing tactile sensation in mice; something that may not always be suitable for human patients. Furthermore, other studies suggest that an approach may interfere with the ability to feel other types of pain (cold, heat or pinprick) – which are essential for survival in everyday life. This study was published in Nature Communications. Posted on April 24, 2018 by EditorPosted in News, Science NewsTagged BDNF, EMBL, mice, neuropathic pain, pain. Previous Previous post: Research Roundup: anesthesia for cephalopods, biomedical tattoo for cancer detection and more! 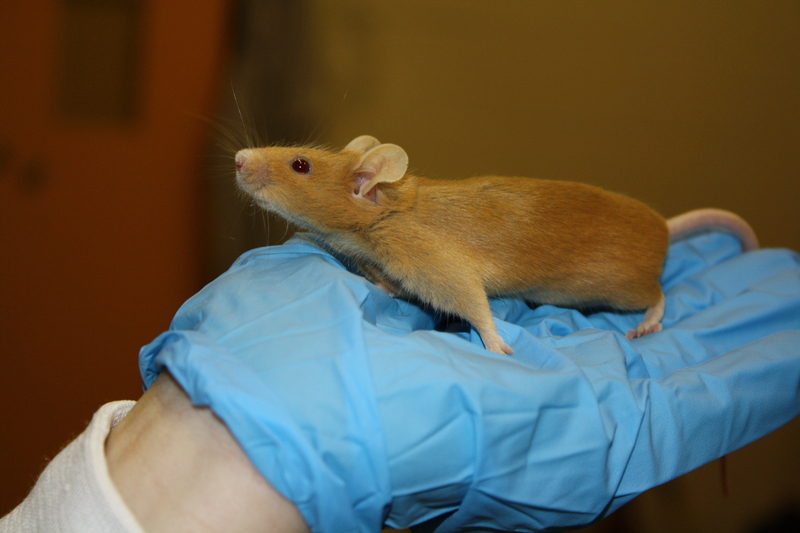 Next Next post: It’s National Donate Life Month – Thanks to Animal Research!